This tray’s bold imagery makes it a favorite and a rare find for collectors. 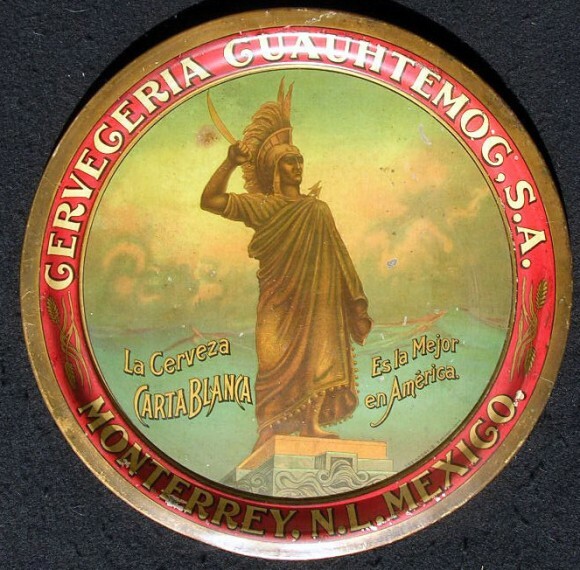 The Carta Blanca brand is the oldest beer made is Mexico dating to around 1900 and it is still made today! (although not my favorite to drink) I do not know a date for this tray so if you have more information then please share!